Brams United understands the importance of all Brampton residents having equal opportunity to participate in soccer programs and enjoy the benefits of being active. To help make this possible, the Club will provide financial assistance to qualified applicants for most Club programs, when fiscally possible. On May 21, 2018, we lost a cherished member of the Brams United Family. Errol Fraser was an avid athlete with a passion for life and always ready to give back. He was a coach that asked for 110% from his players and gave nothing less in return. His energy and dedication were contagious. Errol touched the lives of everyone he came in contact with and left it always better than it was before he entered. His mantra for his teams, was simply based on family. His pre-game rally would often consist of having the girls look to one another and see each other as more than team mates, but as life-long friends, sisters... family. He encouraged them to look out for one another, lift each other up when they were down and to celebrate each other's successes. He took each lesson learned on the field as a lesson to be learned in life; whether it was how to win gracefully, or how to lose with grace. Coach Errol's presence is greatly missed on and off the field by not only his athletes, but by the parents, the Technical team, the Brams United members and all who were blessed to have known and loved him. His brilliant smile is forever etched in the memories of those lucky enough to have known him. Family. Brams United is more than a Soccer Club, it is a family that supports one another on and off the pitch. 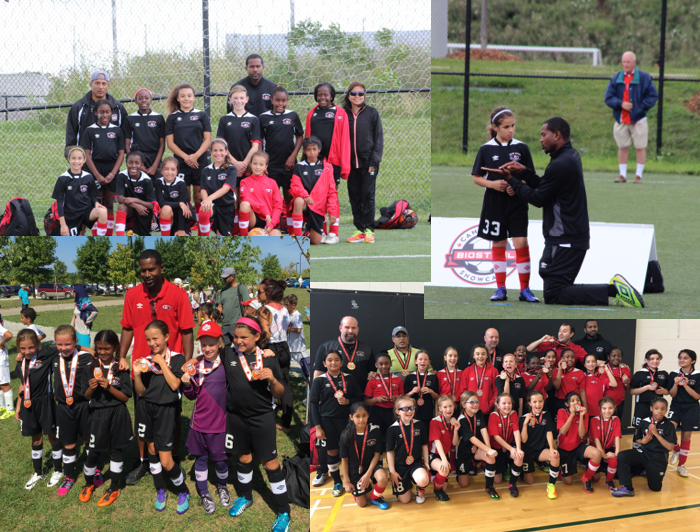 Brams United is committed to providing the ability for any young girl the opportunity to play soccer. In the spirit of this, the Club has introduced a Fee Assistance Program that can provide support to families. Errol represented everything this program stands for and we want his legacy of selfless dedication and love for the game and the athletes to live on for years to come. We want to ensure that those that may not have had the chance to meet him, learns about his story and understands his contribution to the Club and the lives of the players that are part of the Brams United Family. Brams United is honoured to officially launch The Errol Fraser Fee Assistance Program. We thank Errol’s wife Keisha, his daughters Kayla and Khloe and his Friends and Family for their support of this initiative.